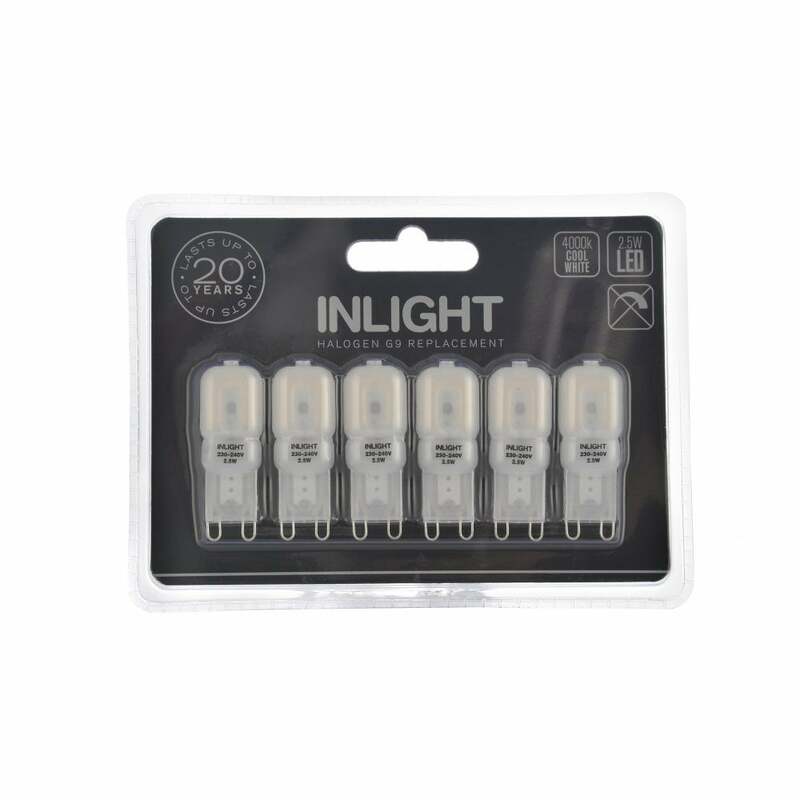 Forum Lighting Inlight 2.5w pack of 6 frosted LED G9 capsule is a great replacement for your old halogen lamp as it offers a very bright, cool white light that is equivalent to approximately 180 lumens while consuming only 2.5w of energy. The product code is INL-28578. With a colour temperature of 4000K to provide a cool white light that is appropriate for most day to day settings and can last up to 20 years with a lifespan of 20,000 hours. Forum offer other bulbs/lamps available to view and purchase from our website.